aprill 20, 2019 @ 10:00 p.l. 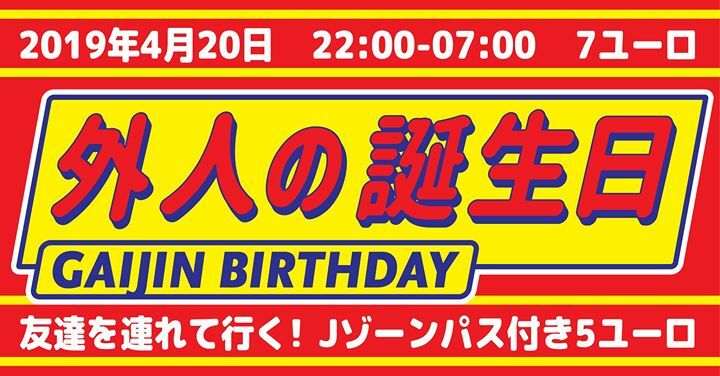 – aprill 21, 2019 @ 7:00 e.l.
Gaijin Universe is turning 1 year old! It has been a year since our first Gaijin party and we are very excited to invite you to our very first birthday! This time we are back at our beloved Sveta Baar, with more heat than ever and even more oriental rhythmz for your enjoyment. ethnicity, concepts generally conflated in Japan.